It's been a busy spring campaign for Garage Racing...so busy in fact, that we haven't had time to update the blog. Garage riders have been tearing it up in many of the categories, and the Ravensdale Road Race was no exception. The Cat 3 team showed up in force and after some aggressive riding, ended up with Chris, Jack, and Zac taking 9th, 10th, and 11th. In the Pro1/2 field, Sean showed some great sprinting skills with a fine 5th place finish. And in the Old Geezers 1/2/3 field, Doug and Nikos converted an all day breakaway into a 1st and 3rd. 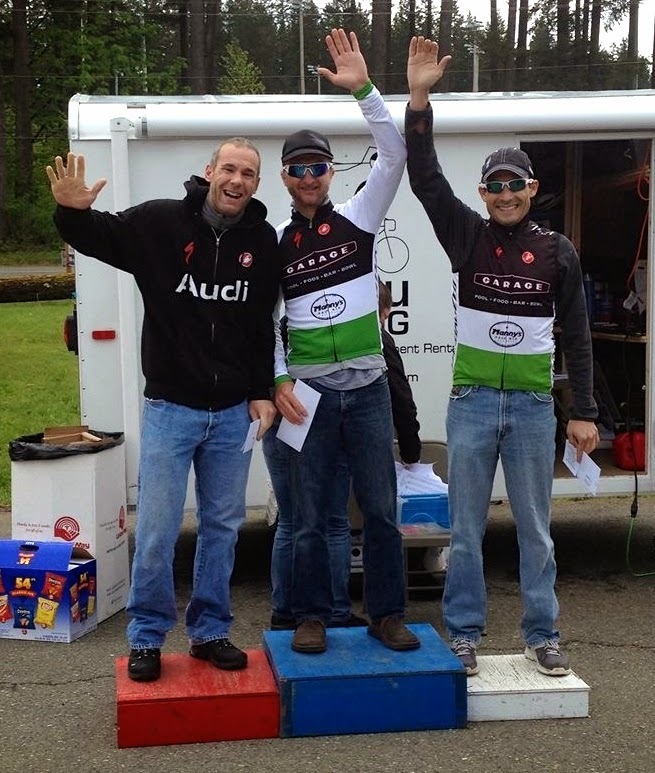 Look for the Garage gang at the Enumclaw Stage Race next weekend.